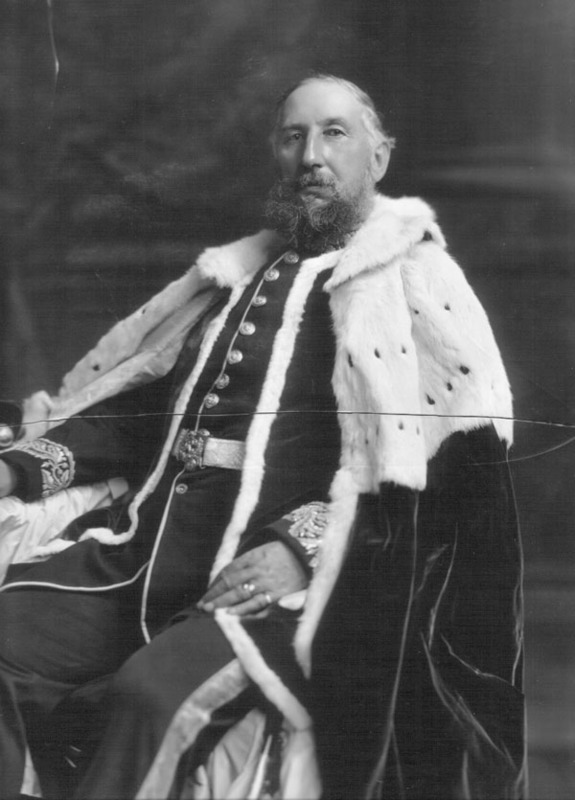 Cecil Theodore Weld-Forester, 5th Baron Forester (1842-1917). Sitter: Cecil Theodore Weld-Forester, 5th Baron Forester (1842-1917). Biog: Shropshire Landowner; Conservative M.P. for Wenlock 1874-1885. Descr: TQL seated with coronet. Costume: Peer's robes over Dress Uniform, Deputy Lieutenant (English County) [Old Pattern]. Biog: Burke's Peerage; The Complete Peerage; Who's Who; The Times, 23 November 1917, p. 8d.